Between 1942 and 1944, the Japanese occupied Brunei, which had been a British protectorate since 1888. 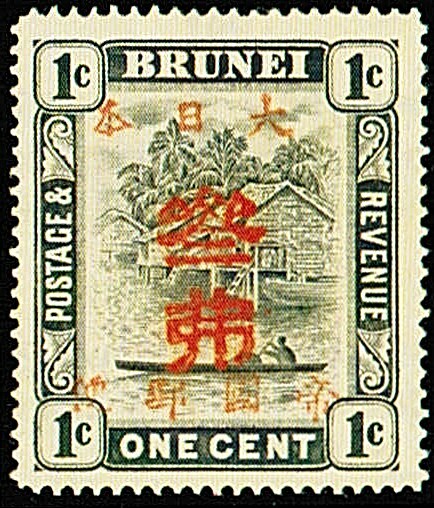 They overprinted stamps of the 1907-21 Issue, showing a boatman on the Brunei River, with colored handstamps (Scott #N1-20). 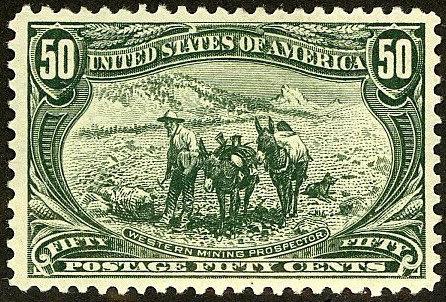 Unfortunately, quantities issued information is unavailable for these stamps. I recommend purchase of most valuable of them (N8,N9, N18,N19,N20), which all catalog $900.- or more, because each of these were almost certainly issued in quantities of a few hundred of less, and because they are pricey enough to justify purchasing expertization, which is necessary on these overprinted stamps. 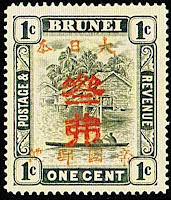 The stamps have triple market appeal among collectors of British Commonwealth, Japan/Japanese Occupation issues, and Brunei. With a population of over 400,000, Brunei is now a wealthy state for which oil and natural gas production account for about 90% of GDP. It has the second highest Human Development Index among the South East Asia nations after Singapore, and Forbes ranks it as the fifth richest nation out of 182 nations due to its extensive petroleum and natural gas fields. Annual GDP growth has average about 1% over the last 5 years.